Powershop, the world's first online electricity retailer, almost doubled its revenue in the past year, while gross profit increased 12-fold to almost $9.9 million. The three-year-old business has had a stunning year. In the 12 months to April, the company's customer base increased by 69 per cent to more than 48,000. Volumes sold in the period jumped 78 per cent to 403.3 gigawatt-hours, with market share increasing to a higher-than-expected 2.45 per cent as a result. Powershop has been able to increase its operating earnings - EBITDAF - by 85 per cent while delivering new, more flexible products to customers and increasing its surveyed performance ratings. The company added more than 19,000 new customers in the year under review, more than the same period the previous year. That growth, and tight cost control, allowed it to reduce indirect costs per unit of electricity by 13 per cent. By customer those indirect costs - staff, rent and systems - fell by 19 per cent. While revenue increased 11 per cent per unit sold, EBITDAF jumped 91 per cent per unit. 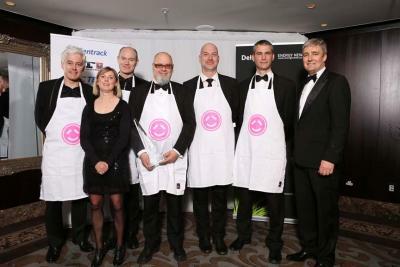 In recognition of the company's remarkable growth, Powershop was named New Zealand's fastest growing company at the Deloitte Fast 50 Awards in November 2011, and the sixth fastest in the entire Asia-Pacific region, the highest rating ever for a New Zealand company. The company is now in a period of solid growth, having expanded operations into five new regions over the last year. Results from a trial in Australia bode well for launching across the Tasman in 2013. Powershop says its obsessive focus on good service and customer experience has been key to its success. In the past year the company implemented its Same Power, Different Attitude initiative across the company, aimed at driving a deeper engagement with customers. In response to customer feedback, Powershop introduced more flexible payment options, enabling account holders to add funds at any time and manually adjust payment dates according to when they are paid. Customers asked for, and received, more visually compelling and streamlined emails, usage graphs and charts. In addition the company made improvements to its web interface. Another key innovation over the past year was Powershop's industry-first Simple Saver scheme. When industry prices increased by an average 3.7 per cent in April, Powershop launched Simple Saver, which offers a monthly special through the company's online store to help them offset rising power costs. While the scheme hasn't improved the company's short-term margins, it has roughly halved the increase most of its customers would have faced, increasing loyalty and demonstrating the value available to them from shopping strategically for power. On its first day, Simple Saver was purchased by almost 3,000 customers and has now been taken up by more than 60 per cent of Powershop's residential customer base. And that kind of service, coupled with the company's irreverent attitude and its use of Twitter and Facebook, has seen Powershop top the Consumer NZ survey of energy suppliers for three years running. In June 2011, it recorded the highest ever result in the survey with 96 per cent of customers rating its performance as good or very good. That was 12 per cent above the nearest competitor and a four per cent improvement on Powershop's previous record score the year before. Powershop was also awarded Best in Service in the inaugural Fair Go/Colmar Brunton poll, beating out its competitors by a margin of 30 per cent.